The user-friendly 7.5 ft. Sunbrella Jockey Red Patio Umbrella is perfect for your next gathering. This umbrella features a pop-up opening system. 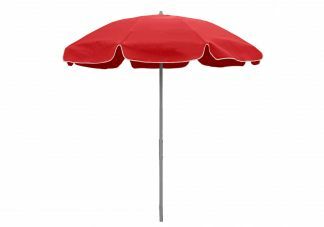 The eight-panel awning-grade Sunbrella canopy in Jockey Red will add rich color to your outdoor area.